A botanical print: designed, carved and printed at the beach. shade in ocean colour. Super fun!" 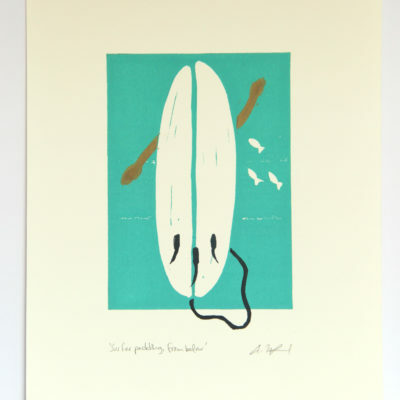 —praise for Aldea's nature-inspired art: block prints and paintings from Vancouver Island. 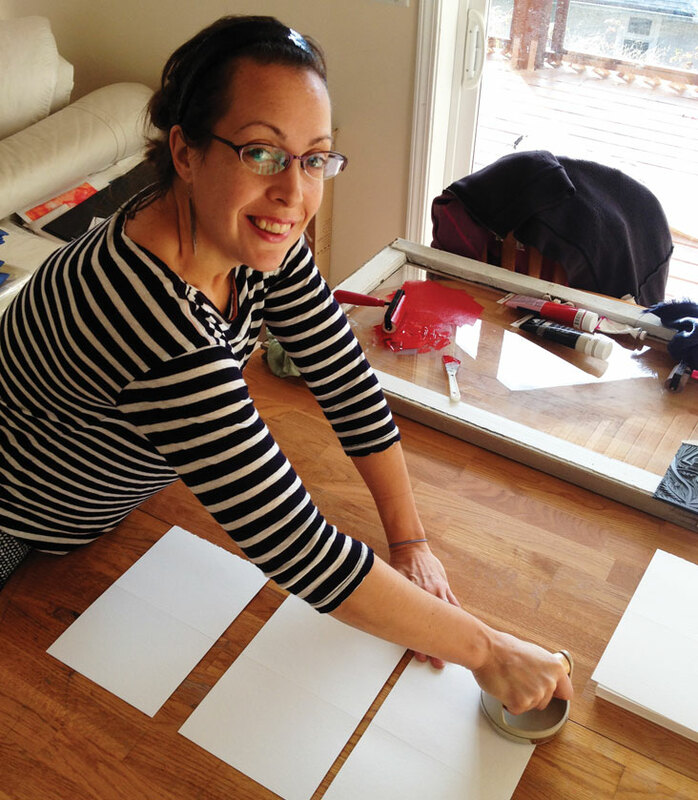 I love to create: paintings, pottery, fabric designs, accessories, linocut prints—the list goes on. While completing my graphic design diploma I spent my summers working as a resort photographer for a remote fishing lodge in Haida Gwaii. It was there that I saw a humpback whale for the first time. 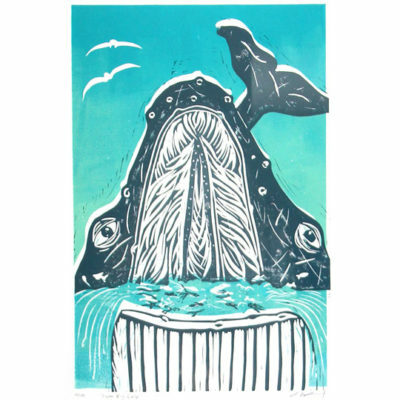 It was a life-changing moment and whales have become a great source of creative inspiration in my work. Click here to read more about my creative inspiration. One of my favourite mediums is linocut block printing. 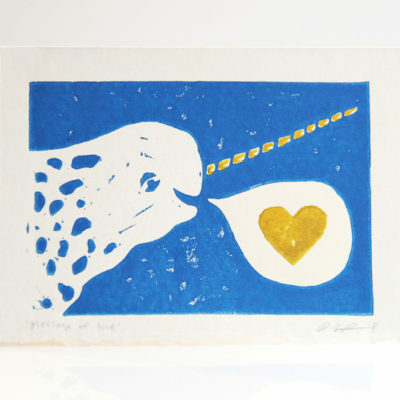 Linocut is a printmaking technique, similar to woodcut. A design is cut into a piece of linoleum with sharp knives and chisels. Ink is rolled over the linoleum surface and then press onto paper. Printing can be done by hand or with a press. I do my printing by hand making each print unique. 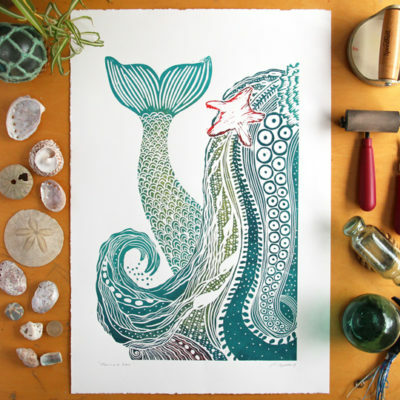 Click here to read more about the linocut technique.